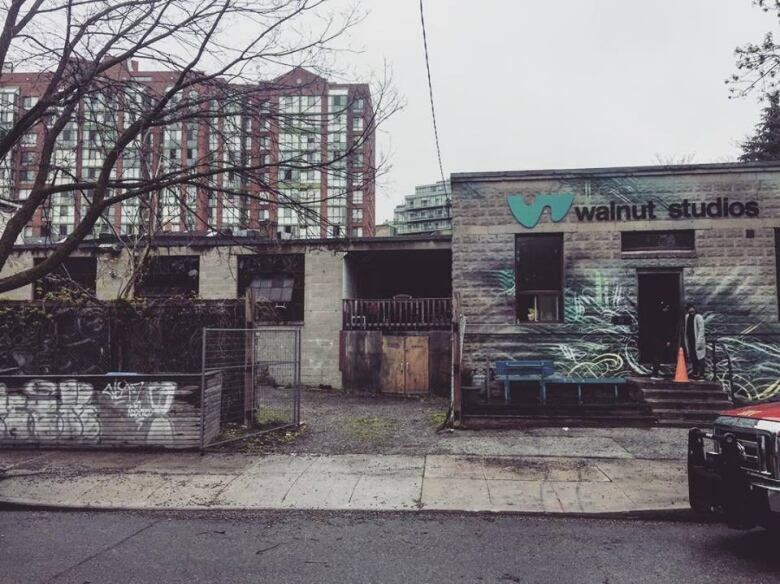 The "family" of Toronto artists who rely on the west end studio have lost thousands of dollars worth of art, but also their main work space. Ilene Sova, the artistic director of Walnut Studios, says she sobbed when she heard the news about the fire, which broke out early on Saturday. The studios, located in a large warehouse at 83 Walnut Ave. that was once a canning factory, were home to a "family" of some 45 artists, Sova said. "I'm inconsolable," Sova told CBC Toronto on Monday. "For me, it was just horrifying to think about these artists and what they have lost, the amount of hours, the amount of work, the materials, their equipment. How do you replace that?" Nobody was injured in the blaze, and Toronto Fire says there's no evidence to suggest it was suspicious. The affected artists are now looking for a new space to work. "For the past few days, what we've been trying to do mentally is really focus on the fact that it happened at a time when no one was in the building, which is very lucky," Sova said. Painters, sculptors, fashion designers, jewellery makers, photographers and installation artists used the building, which had two main studios connected by a hallway and loft space. 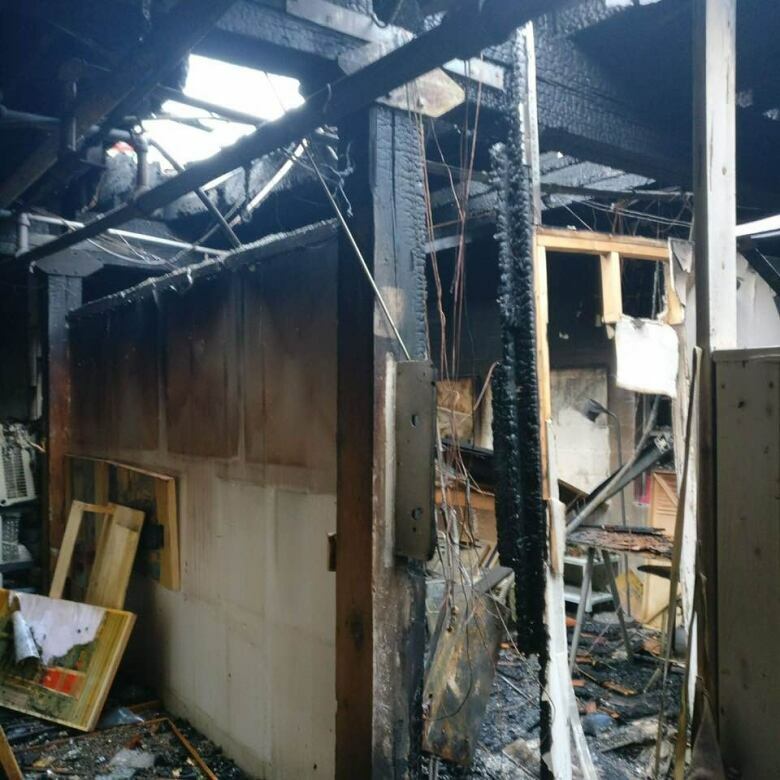 The studios are also home to Blank Canvases, an in-school arts program in which artists teach Toronto District School Board and Toronto Catholic District School Board students, and smoke severely damaged its office space, Sova said. Sova said she can't put a dollar figure on what went up in flames, but the artists have launched a GoFundMe campaign so they can keep making art. 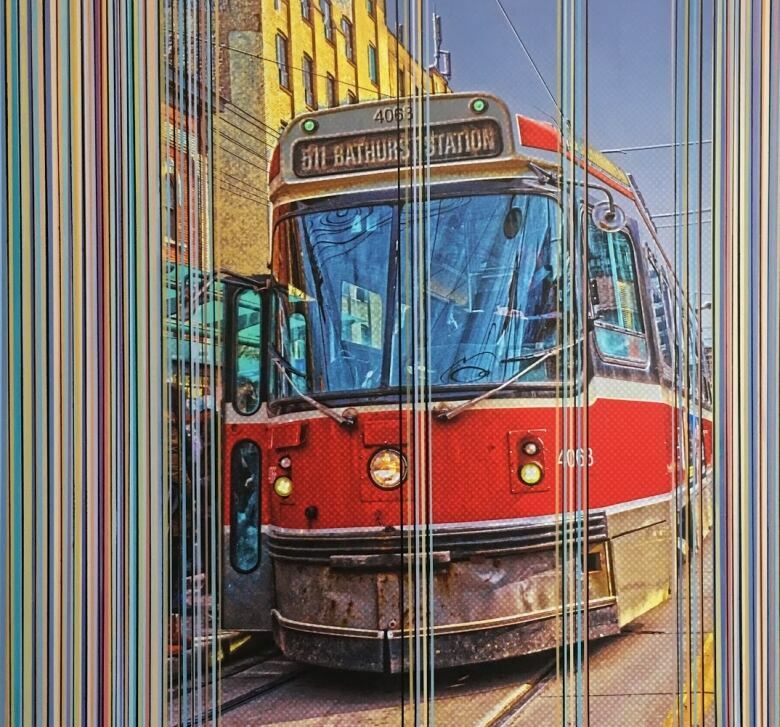 She said many artists had been storing artwork there in preparation for numerous upcoming events, including the Toronto Outdoor Art Fair, Riverdale Art Walk and Queen West Art Crawl. "They were building a huge body of work in their spaces and it was all destroyed," she added. Firefighters were called to the scene at 6:21 a.m. by a report of smoke coming from front windows, according to Toronto Fire District Chief Stephan Powell. Firefighters arrived two minutes later and part of the one-storey building was already engulfed in flames. "When we got there, there was thick yellow smoke at the corner of King and Niagara Streets," he said on Monday. "There was extensive smoke damage and considerable fire damage to a portion of the building," Powell said. Sova says there's been an outpouring of support from Toronto's arts community. "Throughout the day, we were just managing the crisis in terms of communicating with the artists, letting them know what was going on and figuring out what are next steps are," Sova said. "We're feeling really positive and comforted by the community and the city of Toronto that has kind of gathered around us in the past 24 hours," she said. "It's really touched us and made us feel like we can come out of this and not be so desolate, that we have resources, and the broader Toronto family is going to help us kind of rise like a Phoenix out of the ashes."